Nokia showed off their upcoming app ‘Nokia Storyteller’ at Nokia World a few weeks ago. 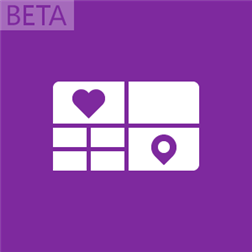 The app as of now is available on the Windows Phone Store but it seems its for Lumia 1520 owners only at the moment. The app is at its beta stages and although it says ‘Amber software’ is needed, none of the current Lumia devices seem to be able to download. Requires the Lumia Amber software update. Nokia Storyteller BETA automatically sorts all your photos, videos and cinemagraphs into interactive groups called stories. Your timeline is where you can browse all your stories and modify them, then view them as slideshows or share them with friends. You can also sort your photos and videos by location, as well as add captions to tell even more of the story. Plus, when you’re looking at a photo, you can zoom out to see where you took it on a map. Nokia Storyteller BETA – a great new way of enjoying photos and videos on your Lumia phone. To get the latest software updates for your phone, go to Settings > Phone Update. You can also find out more about the Lumia Amber software update online at nokia.com/lumia-update. Written by: Hyde13 on November 12, 2013.